Hello our dear friends and fans! 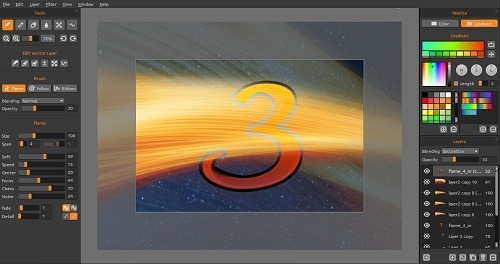 Today we’ll continue in our blog series in which we’d like to present you next key features of upcoming Flame Painter 3. We started with last week’s blog post, where we talked about Photoshop Plug-in, PSD and SVG file formats along with new blending modes. However, we don’t stop here. As always, we crossed the borders, added more features which are not usual in other applications and connected Flame Painter not only with third party software but also with other advantageous hardware. 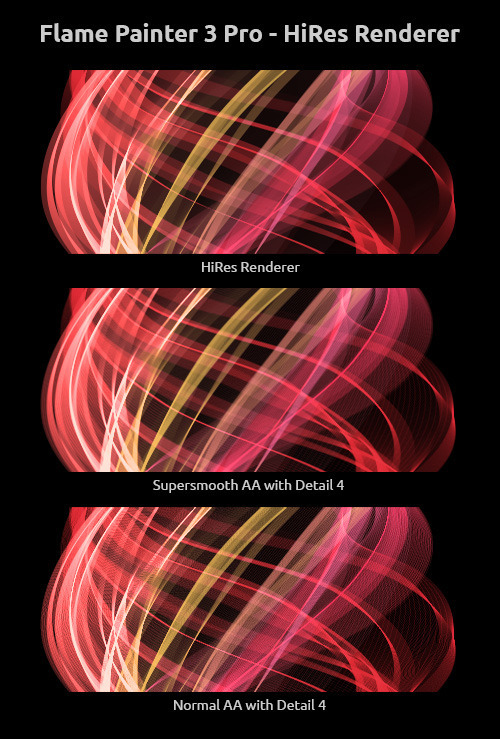 For those who need high resolution images and even the SuperSmooth Antialiasing with the highest detail is not enough, we developed and included to Pro edition a new fantastic HiRes renderer. It fills the small spaces between dots and makes the picture nice and smooth without the appearance of Moire artifacts. If you work with vector layers, you can re-render them with this new state-of-the-art renderer. Do you have a multicore processor? Of course you do… If you work with huge canvas, a multithread engine optimization is a must. Both editions of Flame Painter will calculate the flames with significantly increased speed using the performance of all your processor cores. A feature most of you will find really useful in both editions: now you don’t have to set your canvas size solely at the beginning of the painting, but also anytime while you paint. Bitmap layers will be scaled to the new size and vector layers will be re-rendered to fit the canvas. In the new version you can set an extended canvas with more visible space than the canvas you have for your painting. It is a very useful tool especially when you transform the layers often and need more space for manipulation. From now on you can scale, resize or move the layers to work on a particular area when it is zoomed. Tired of using mouse? Now, in the Pro edition, you can have fun and draw naturally with Wacom tablet or almost any other tablet which supports pen pressure sensitivity. In the Wacom Preferences you will be able to choose which parameters should be influenced by the pen pressure. Tired of all the tangible tools you need for your painting? Throw them away! In both Personal and Pro edition you need only your hands. 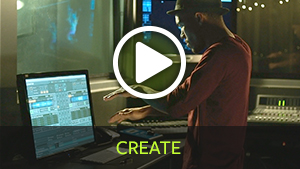 Leap Motion controller allows you to use the motion control for creative expression in a whole different way. And we absolutely love it! With a wave of a hand you can create beautiful results and not only the canvas but also the menu is fully accessible without touching the mouse. We believe, the nature of Flame Painter is suitable for exploiting this option for all the expressive control of tool options. Users who use other graphic applications than Photoshop can easily Copy & Paste layers with alpha channel. From Flame Painter 3 Pro you just have to copy the layer and paste it to any third party application which supports image with alpha channel in clipboard. This will work other way around as well. Just like in Pro edition, users of the Personal edition will also be able to use unlimited layers instead of 3 layers. These are the key features for Flame Painter 3 release. So guys, which one do you find most useful in your workflow with Flame Painter? You are welcome to share your opinion with us! In the next blog and newsletter on April 22, we will talk about the pricing, licensing options and ways of how to upgrade to version 3 for those who purchased through our website or Mac App Store.